These are the only kinds of photos you get with Erich Weyant— accidental ones, while he’s busy at work. But especially on his birthday, I think that it’s important the world get a good look at one of the most decent, good natured, kind human beings I’ve ever met. 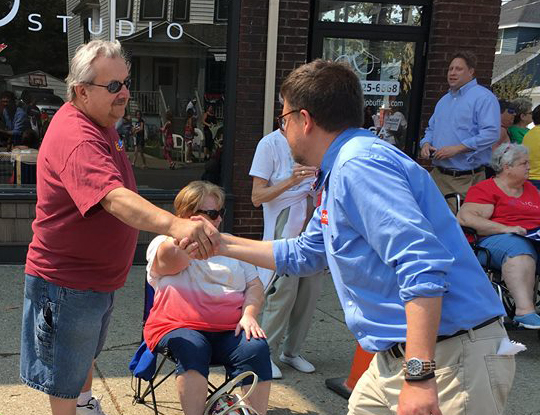 My friends, my family, and anyone who supported my bid for County Clerk should also know that the only reason we came as close as we did was this guy right here. He’s truly the only person who completely understood my reasoning and vision in running for elected office, while also sharing a commitment to that vision with the same amount of drive, drive, and determination that I had.